Happy belated Thanksgiving! 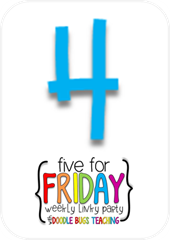 It's been awhile since I have linked up with Doodle Bugs Teaching's Five for Friday Linky so I thought today would be a great day! (Please ignore the fact that it is actually Saturday...this whole having a few days off thing makes me lose track of time!). Last week was full of Thanksgiving projects in the classroom and turkey fun. Students brought in their family Disguise a Turkey projects. Many of them turned out super cute! 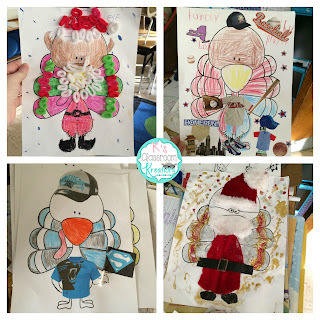 I am hoping to do a gingerbread themed one in a week or two- I love having my kiddos let their creativity and imaginations run wild. 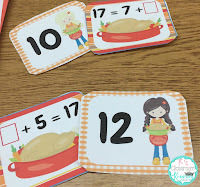 We did a lot of math stations with a Thanksgiving theme also. I created a simple folder (folded construction paper) for them to keep track of all of their recording sheets and it seemed to work well for center management. 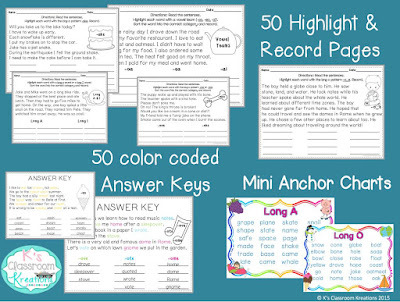 I don't usually do a lot of worksheets, but having everything in one place held the kids accountable and they could see which centers they haven't done yet. 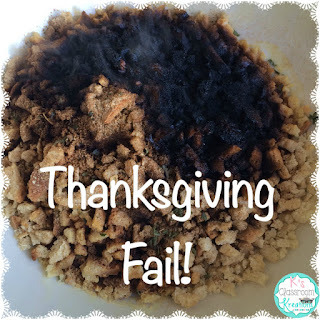 So I shared some Thanksgiving wins above...here is my Thanksgiving fail! I was super proud of myself for single handedly creating a glorious Thanksgiving feast. It didn't matter that the biscuit can wouldn't open...I couldn't get the top off of my wine...that I ran out of butter (who does that! )....or that the sugar bag spilled a little too much into my homemade applesauce (scooped some out and called it a day). I resolved everything, made up a plate for myself, and realized all that was left was my stuffing. I am for sure a Stove Top kind of girl. I threw it in the microwave and went on my merry way. Until I smelled something funny. Nope, nothing in the oven was burning. Hmm...back to decorating while I waited. Then I noticed a strange yellow tint forming on the top of my microwave. I opened it naturally and was greeted with a face full of SMOKE! Yup...my one ingredient recipe (just add water) was MISSING the water!! So, my house filled with smoke, my eyes watered...I gagged...it wasn't pretty! I tossed my burning (flamed!) stuffing outside. Two days later and I still haven't been able to close my windows because it smells so bad. OOPS! Sidenote- my smoke alarms go off when I preheat the oven, make a slice of toast, or blow out a candle. They apparently do not go off however when I practically light my microwave on fire and fill my house with smoke. Lesson learned. Yesterday was spent Black Friday shopping from the comfort of my pajamas and safety of my bed. I got some great deals and am almost done with my Christmas shopping. Wahoo! I also added more ideas to my wishlist after linking up with the Primary Pack's Black Friday Wishlist Linky. 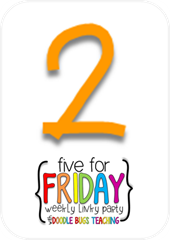 Check it out for great ideas for yourself and your classroom. 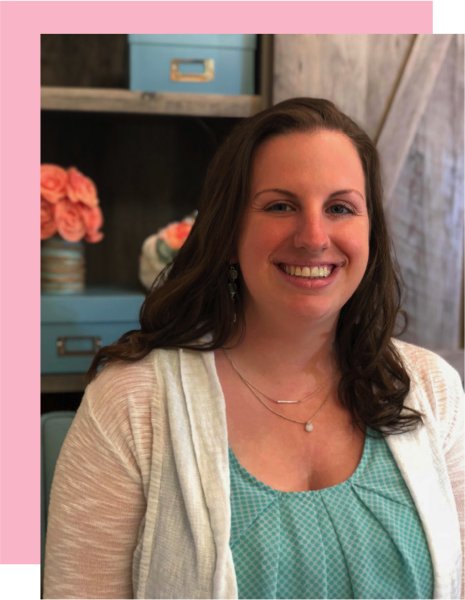 I also shared what my most wish listed items are and why they might be great for your classroom. What goes better with adding to a wishlist than a sale?? Have you heard the news? 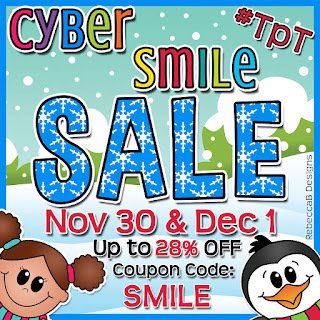 Teachers Pay Teachers is having a huge Cyber Smile sale on Monday and Tuesday this week. 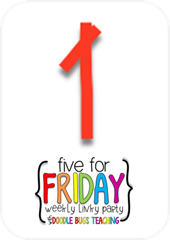 Get ready to make your list and check it twice. 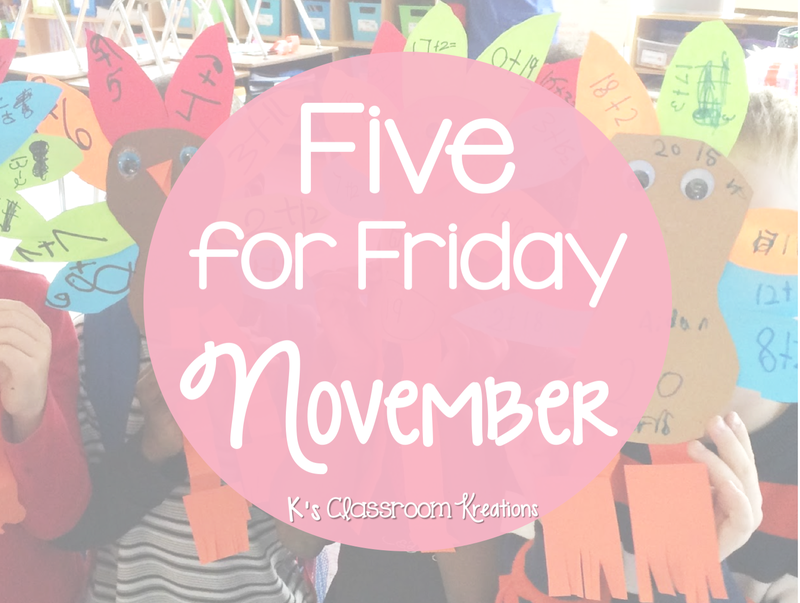 I know that I will be stocking up on some bundles and fun ways to get through the next few months with rigor and meaning! Lastly, I have been busy creating the last few weeks. 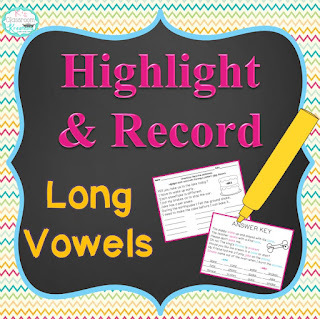 I just added my Long Vowels Highlight and Record product to my bundle (and individually). I can not tell you how great it feels to have completed this one! 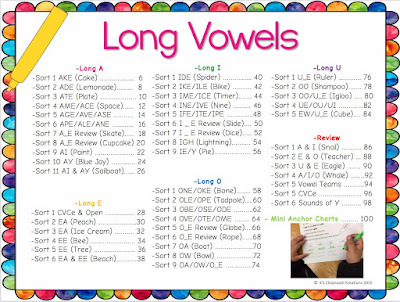 It is filled with over 100 pages of long vowel practice, both at the sentence and story level. 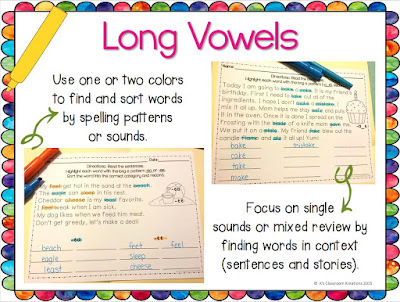 CVCe, vowel teams, and other long vowel patterns are included for students to identify in text, highlight (their favorite part), and record/sort based on pattern. 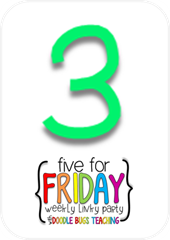 Huge hit in my classroom and works so well for word work time. I hope you are enjoying a few days off and can find calmness and peace in the holiday chaos that is now underway! See you soon. 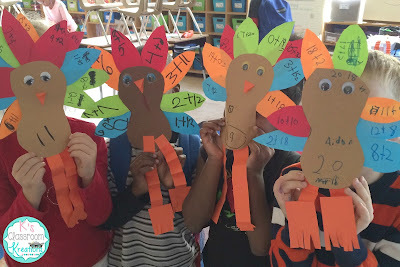 You turkeys came out great! I'm sure your students were happy with the results, too. 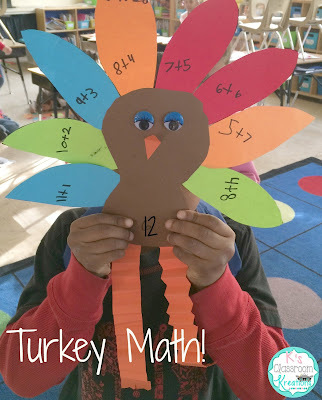 My students created feathers for a turkey that's up on our classroom bulletin board. The kids wrote narratives from a turkey's point of view. They'll be hanging up with our gobbler. Have a great week!